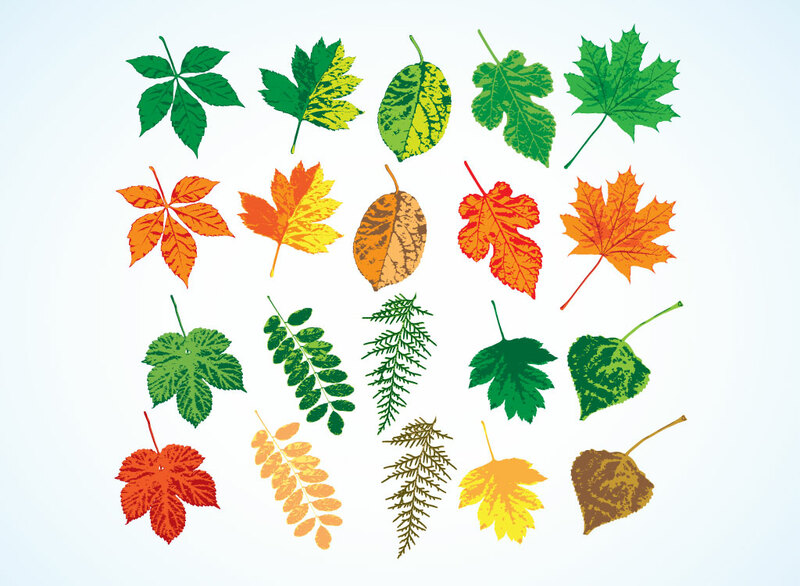 Free leaves vector stock images pack with ten different leaf elements in threshold style in two color schemes. Each comes in a two-tone spring green and autumn earthy colors. The graphics in the mixed bundle are set on a soft blue and white radial gradient background image. Beautiful Illustrator footage for your seasonal, botany, bio, organic, nature, garden, park and forest artworks. Tags: Botanical, Ecological, Floral, Foliage, Forest, Fresh, Garden, Seasons, Trees.